It’s been 23 long years since the first episode of F.R.I.E.N.D.S was aired, but for a true F.R.I.E.N.D.S fan it still feels afresh while watching an episode of the show, as it just gives you the same feeling with the same amount it used to give the first time you ever watched it. 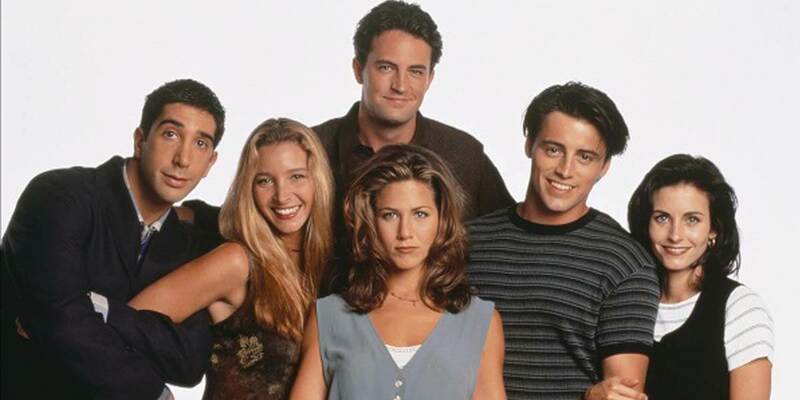 Rachel, Monica, Phoebe, Chandler, Joey and Ross are the names that you loved to hear at any time of the day, and you couldn’t help but start talking about the show. It has left an imprint in the minds and hearts of its fans. It was just hard for the fans to accept that the show was over. F.R.I.E.N.D.S is definitely your go to show, whatever be your mood! This is something that every F.R.I.E.N.D.S fan will definitely agree to. Despite all the new shows coming up, a F.R.I.E.N.D.S fan will definitely watch the series any day anytime, because it’s a series that just makes you feel happy despite what your mood is. If not that, the constant hum of the song is there in the background to satisfy you. Every single move of your life is something you have got to compare with one of the characters. This just makes you feel too good and happy. Like the time you hate dogs becomes “that time when Chandler hated dogs”, and if you get an opportunity to associate with one of them, you just want to live that moment to the fullest. You have got to bring in some element of F.R.I.E.N.D.S in your conversation. A conversation without F.R.I.E.N.D.S is just incomplete. You have got to add in the element, else you just feel that your day was incomplete. ‘I’ll be there for you’ is your statement to every single best friend of yours, and someone else when they say it, they are serious and you take it as a pact (It is goddam serious). You relate yourself to one of the characters in every scenario of your life. “Oh I’m just like Monica from ‘The one with Phoebe’s wedding’, I just need things to be perfect”. Every time you have to change characters, well c’mon, you just love all of them that you can’t just choose one. Living a life like them is just a dream! The theme song becomes so close to you that you won’t forget to clap at the right time EVERY TIME! Even when you are asleep, a tune of the song is enough for you to wake up and clap at the right time*Chachachachachaaa* (I know you got that right!!). It is just there in you, no one can ever stop you from singing it any time you want. Meeting another F.R.I.E.N.D.S fan makes you hyper active. This one makes every F.R.I.E.N.D.S fan go crazy! Meeting another F.R.I.E.N.D.S. fan is like talking about the show for the first time and a brand new experience. Every single detail will be discussed and it just brings Goosebumps. Sarcastic comments have to be a part of any conversation you have, and you tend to respond to any sarcastic comment with a pinch of sarcasm, simply to win the situation and to prove that you are a true fan of Chandler: the king/ god of sarcasm. Your room and cupboard is filled with F.R.I.E.N.D.S merchandise. And you won’t mind adding to the list. C’mon, everyone loves to have a room full of merchandises, and for a F.R.I.E.N.D.S fan it’s even more exciting if you gift them anything which is even slightly close to the show. And, if they go out for shopping and find something related to it, they have got to take it, despite them already having the same merchandise in another colour. Coffee shop becomes your favourite place of hangout. If you are a true F.R.I.E.N.D.S fan, a coffee shop is somewhere you really love to go, simply because you want to relate yourself to the character, who are most of the times found in the Central Perk coffee shop. You would just love to sip some coffee and spend quality time with the ones who matter the most to you. You have to, HAVE TO force your friends to watch F.R.I.E.N.D.S if they haven’t! I am pretty sure that this one is definitely a trademark of every F.R.I.E.N.D.S fan. You are tired of your friends who have not watched the series, and you have got to force them to watch it, else you will not get the satisfaction. So, you make sure to persuade them in every manner and make sure that they watch it, and you will go up to an extend of sitting with them and watching the entire 10 seasons again (Cause, you would just love to watch it again). So, if next time someone asks you why do you love the show so much, just tell them how it’s just so powerful that it leaves you with a F.R.I.E.N.D.S hangover, which you just can’t get over with!